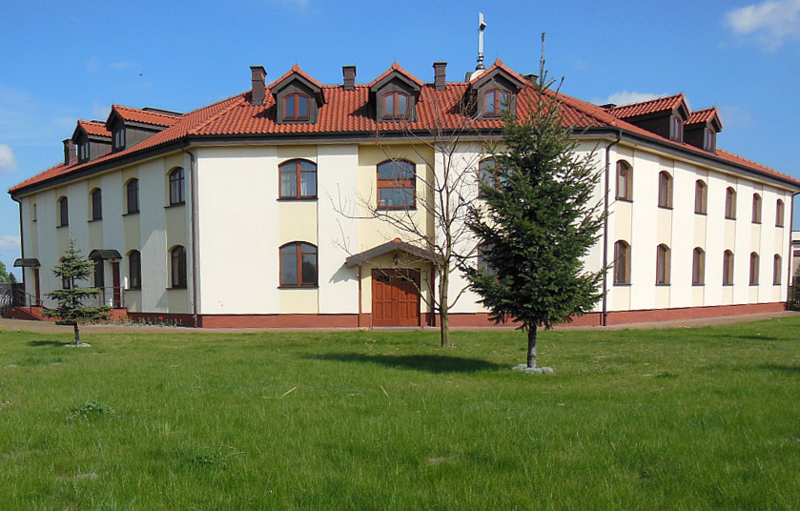 The cloistered part of the convent of the Congregation of the Sisters of Our Lady of Mercy in Świnice Warckie was opened on August 25, 2008, by the decision of the General Council of the Congregation. In this manner the concept of the cloistered community, about which Saint Faustina wrote in her Diary, began to develop and materialize. The fundamental goal of the cloistered convent of the Congregation of the Sisters of Our Lady of Mercy is the realization of the Congregation’s charism through prayer, that is, imploring God’s mercy for the world. By your entreaties, you and your companions shall obtain mercy for yourselves and for the world (D. 435). My Spirit shall be the rule of your life. Your life is to be modeled on Mine, from the crib to My death on the Cross. Penetrate My mysteries, and you will know the abyss of My mercy towards creatures and My unfathomable goodness – and this you shall make known to the world. Through your prayers, you shall mediate between heaven and earth (D. 438). By renouncing the world, the sisters live alone with God, so that in silence and contemplation they may glorify God’s mercy and implore it for the world. With their prayer and penance the sisters embrace the Church, their country, the Congregation and the whole word, especially sinners, priests and religious. Through their hidden apostolate, the sisters reach to the furthest ends of the world and are the Congregation’s quiet, hidden support base in its mission of proclaiming God’s mercy to the world. The sisters live under the protection of Mary, the Mother of Mercy, who is for them the model of the contemplative life and of hidden cooperation with the Merciful Jesus in the work of saving souls. Saint Faustina, the Spiritual Co-foundress of the Congregation, fulfils this role in a special way in this cloistered community, for which she wrote the Rules as found in her Diary. Present and abiding in it in spirit, she joins the sisters in imploring God’s mercy for the world.